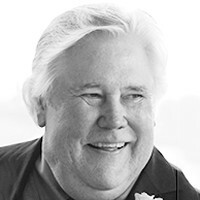 Larsen, Curtis L. Age 74 of Tonka Bay peacefully passed on August 15, 2018 due to complications of shoulder surgery. Surviv-ed by his wife Carol and proud father of Peter (Nicole), Elizabeth, and loving dog Lulu. Siblings, Timothy (Char), Roger, and Laurel; along with many nieces and nephews. Michigan born on November 7, 1943 he attended Michigan State University and was a spirited Spartan fan. Curt was a proud Vietnam Veteran and a valued member of the medical packaging community, he will be greatly missed. A celebration of his life will be held for friends and family in early October. Memorials may be directed to the family for a MN State Fair Memorial Bench or to MSU School of Packaging.